Check out our other repairs: Apple iPhone 6/6 Plus Apple iPhone 6S/6S Plus Apple iPhone 7/7 Plus Apple iPhone 8/8 Plus Samsung Galaxy S4 Samsung Galaxy S5 Samsung Galaxy S6 Samsung Galaxy S7 Samsung Galaxy S7 Edge Samsung Galaxy S8/S8 Plus Samsung Galaxy S9/S9 Plus Samsung Galaxy Note 2/3 Samsung Galaxy Note 4 Samsung Galaxy Note 5 Samsung Galaxy Note 8. Repaired my S7 with screen cracked in multiple places. They are not real proactive with communication but will respond within 24 hours to your eBay message status request. Very good job, phone looks like new and functions appear to have been preserved. It is amazing that they can salvage the phone without having to replace anything but the thin layer of glass. Excellent value, would use again even though it took almost 3 weeks for whole process, door to door, with the Labor Day holiday in between. Just make sure you have a spare unlocked phone to swap your SIM card while you wait. If your able to send out your phone for repair then this is for you. I had my Galaxy S7 edge repaired by Simple Cell Repair and its back in buisness. All these local screen repair places by me was telling me that I would need a screen and the lcd because its one whole piece. 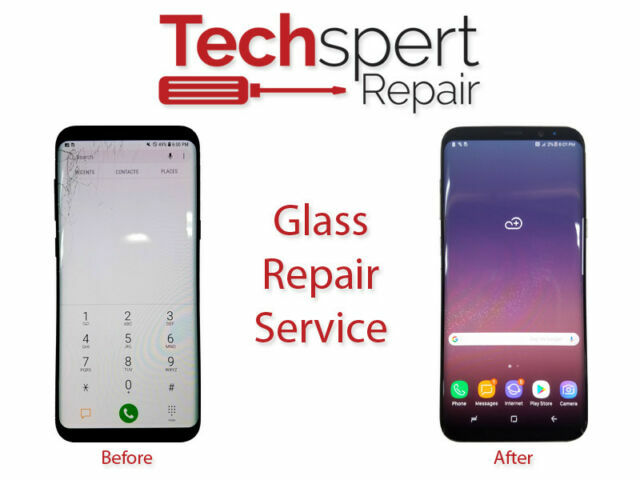 They wanted over 350 hundred dollars for the repair, so I did my research and found Simple Cell Repair and they have the experience and knowledge to replace just the screen at a affordable price. Thumbs up!!! Five stars!!!!! FAST, GREAT QUALITY, AMAZING PRICE. BEATS ALL , IS ALL, BOW DOWN !!!!! WOW WOW WOW What can i say, this phone repair been great! Took about 2 days, Yah i got it , right away, These guys are quick , Better place ur bid, Looks brand new ! I thought i should get a screen protector 2! So it dont happen again , People said it was a-scam, Ask me "WHY" I SAID YO LOOK AT THAT PRICE! 4 real, Word to yo mamma! Galaxy S7 Edge: They did a decent job, quick turn around, and great price. However, all four corners of the screen have a little bit of white, it looks like maybe air bubbles or something. It is pretty minimal, and I can't complain to much at this price, especially since I just fixed the screen to sell the device. It took a bit longer to get the phone back because of Samsung employee being out. Took 20 days from California. The quality of the work with astonishing. Everything was perfect. I would definitely use these guys again.